"Ray" is the never-before-told, musical biographical drama of American legend Ray Charles. Born in a poor town in Georgia, Ray Charles went blind at the age of seven shortly after witnessing his younger brother's accidental death. Inspired by a fiercely independent mother who insisted he make his own in the world, Charles found his calling and his gift behind a piano keyboard. Touring across the Southern musical circuit, the soulful singer gained a reputation and then exploded with worldwide fame when he pioneered incorporating gospel, country, jazz and orchestral influences into his inimitable style. As he revolutionized the way people appreciated music, he simultaneously fought segregation in the very clubs that launched him and championed artists rights within the corporate music business. 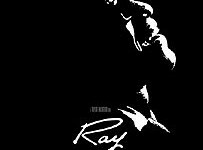 "Ray" provides an unflinching portrait of Charles' musical genius as he overcomes drug addiction while transforming into one of this country's most-beloved performers.